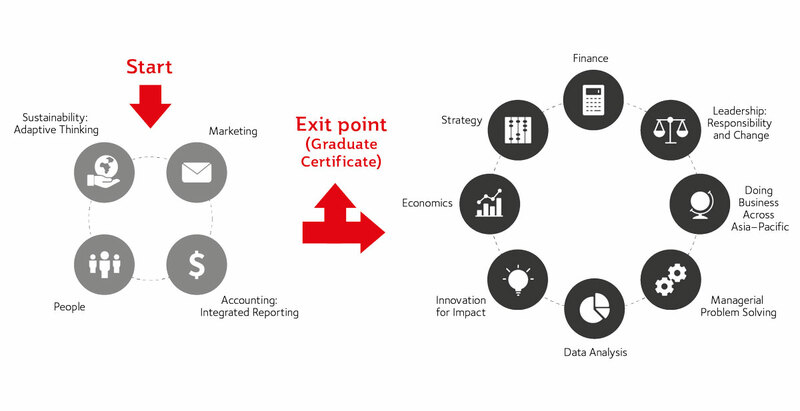 Like all MBAs, the Griffith MBA explores all of the business disciplines you would expect—accounting and reporting, economics, finance, people management, marketing, strategy and innovation. However, what makes our MBA different is that it's built on core values that are crucial to doing business in the 21st century: sustainable business practices, responsible leadership and an Asia-Pacific perspective. If you are looking to develop your critical thinking skills and identify new solutions that will improve the world around you, then the Griffith MBA is the right fit for you. Get personalised advice on postgraduate study and applications. Developing responsible leaders who demonstrate the highest levels of integrity and ethical behaviour. Creating value through social, financial and environmental approaches that lead to sustainable businesses and communities. Preparing global citizens, with a special focus on the Asia-Pacific region. Our credentials affirm the quality of our MBA and highlight the unique perspective we offer. The Griffith MBA placed fourth nationally in the 2017 Australian Financial Review BOSS Magazine MBA rankings. It has received a 5-Star rating from the Graduate Management Association of Australia's 2017 MBA Star Rating. The CEO Magazine Global MBA Rankings for 2018 place the Griffith MBA in Australia's top five. With a high-quality MBA from a world-class university, you'll have the skills, knowledge and confidence needed to take the next step in your career. Griffith is the first university in Australia to partner with the Institute of Managers and Leaders to prepare fully flexible MBA students with essential leadership skills beyond the classroom. Upon graduating your fully flexible MBA, you will be on the fast-track route to becoming a Chartered Manager (CMgr), the highest status that can be achieved as a global management professional. 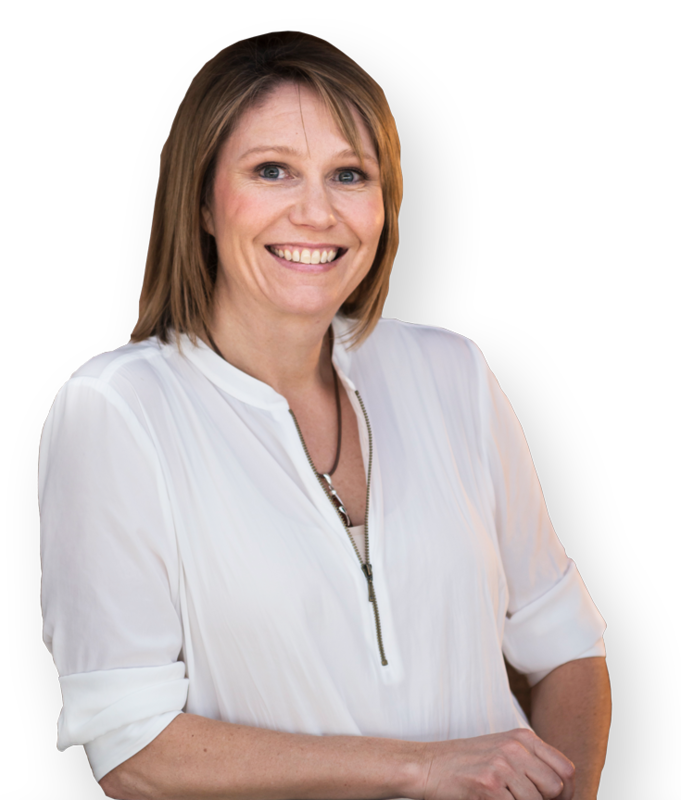 Our MBA teaching staff has considerable industry experience and extensive educational qualifications. More than 90% of our staff hold a PhD. This means that your teachers know how to practice business and understand the theory behind it. Through their experience and expertise, you'll learn how to make better business decisions. Whether you choose to study online, on campus, or both, you'll benefit from peer learning, group collaboration and will be supported by the latest audio and visual interactive learning tools to network with students and staff. There are no exams, so you'll be graded on practical assignments that you can use in your current or future roles. Our fully flexible MBA offers opportunities for study abroad electives such as the Asia-Pacific Study Tour. Studying with MBA students from around the world can expand your networks and enhance your understanding of global business. With more than 200 partner institutions in 38 countries, there's an exchange to suit everyone. 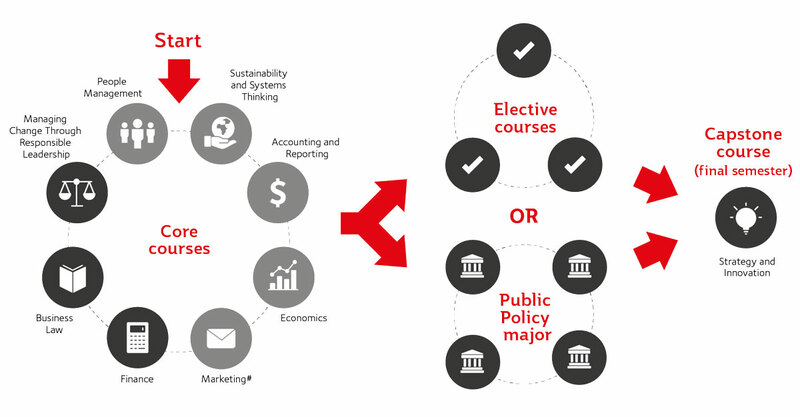 In addition to your core MBA studies, you can choose to complete a major in Public Policy. Courses offered as part of the Public Policy major provide the breadth and depth of public management skills to advance your career both within the public sector and the private-public sector interface. Griffith Business School offers a range of scholarships to support new MBA students successfully complete their degrees through direct financial support. A range of scholarships are now available to support and encourage females, First Australians and international students to study the Griffith MBA, in addition to the Griffith Business School postgraduate scholarships and the QBM MBA responsible leadership scholarships open to all students. If you don't have an undergraduate degree but do have a wealth of work experience, you may be eligible for professional entry into the Graduate Certificate in Business Administration. You will need a minimum of six years full-time work experience, including four years of relevant work experience and two years in a role requiring leadership skills. You can choose to study on-campus, online or a combination of both. With our MBA, you can choose to study online, on-campus or a combination of both. You can also study full-time or part-time. Choose our fully flexible MBA and study online as well as face-to-face, alternating between attendance modes to suit your needs. You can fast-track your study by completing our accelerated online MBA. Each course runs for six weeks allowing you to focus on one at a time and still graduate in two years. With six intakes a year, you can virtually start whenever you're ready. An MBA from Griffith will help you take the next step in your career—whether that is towards senior management in the public or private sector, or towards starting your own business. Our graduates pursue many paths, from furthering their career in their existing organisation, to changing focus completely or starting their own business venture. With the values of responsible leadership, sustainable business practices and a global orientation inherent in our MBA, you will be prepared to meet the business challenges of the 21st century. Whatever your interests, Griffith University has a degree to suit your needs. Fill in your details to receive your copy of our study brochure. Your privacy is important to us. Information you supply will be handled strictly in accordance with our Privacy Plan.